It has been a while since I have posted. My time has been taken up by my twins graduating from high school and also preparing for our troop’s scout camp. 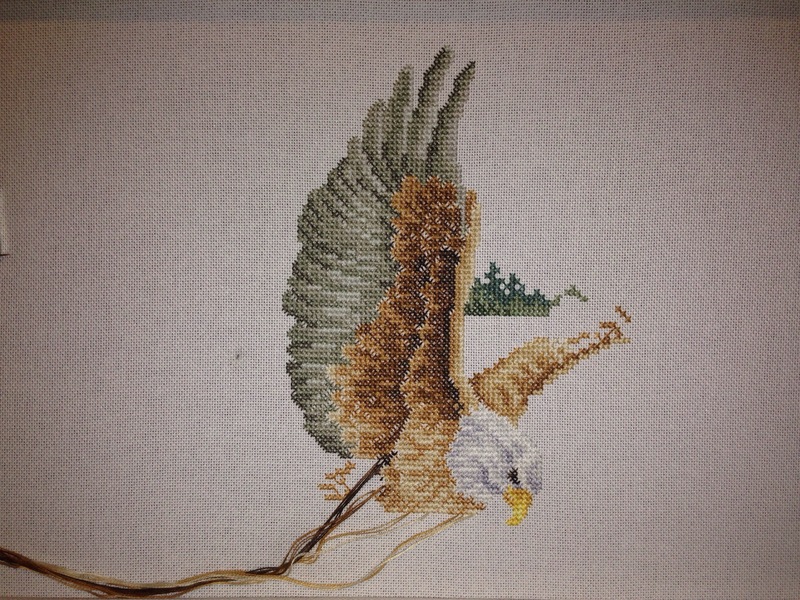 I have been cross stitching, just not as much as I would have liked. I have worked more on Our Family Tree and I am happy with how it is coming along. I have reached the upper right corner of the vignette and the tree trunk is also in place. I am going to need to go back and stitch individual stitches that are blended with blending filament. I felt that it would be better to wait until the surrounding area is filled. I also added another piece to my rotation. This is Isaiah 40:31 by Donna Vermillion Giampa. It will eventually be a picture of an eagle landing with the text of Isaiah 40:31 surrounding it. I finished the wing and moving on to the body. 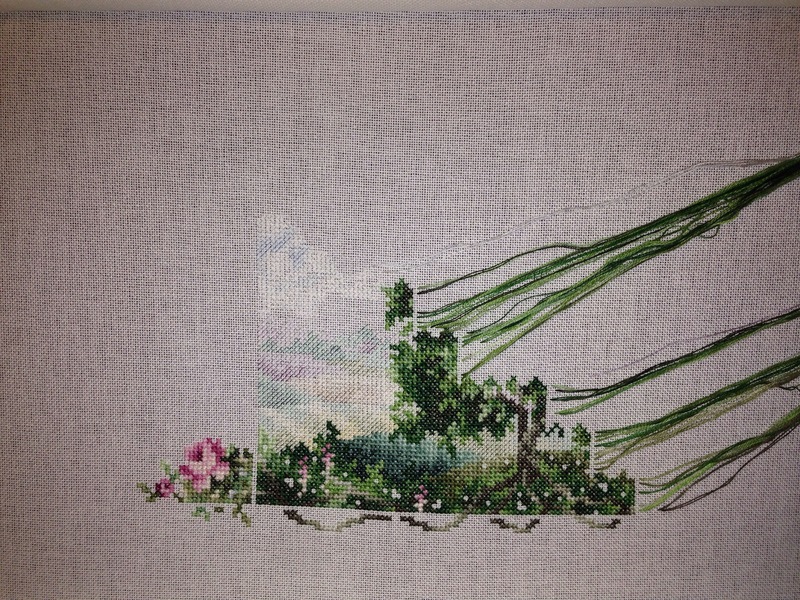 This is turning out to be a really simple piece that can be completed in a relatively short time. I am trying to decide how many active projects to keep in my rotation. Too many projects would mean that I would never finish anything. However I have so many things that I want to work on and I am pretty impatient. As of now I am thinking that I am going to limit myself to four or five projects.